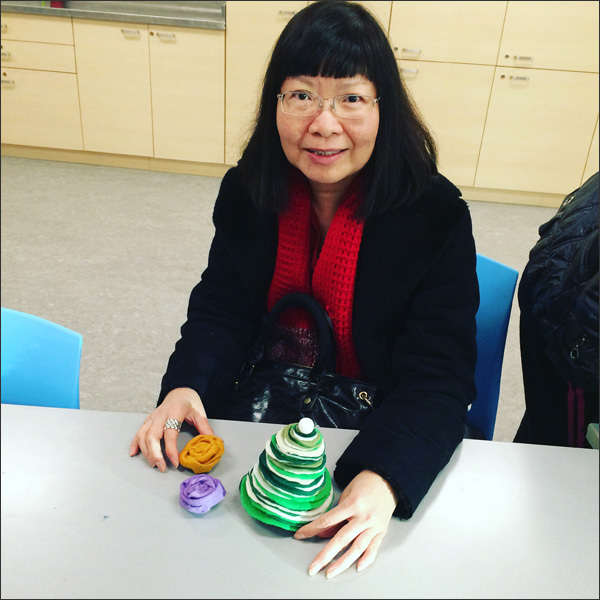 It's the season of Xmas Crafternoons! 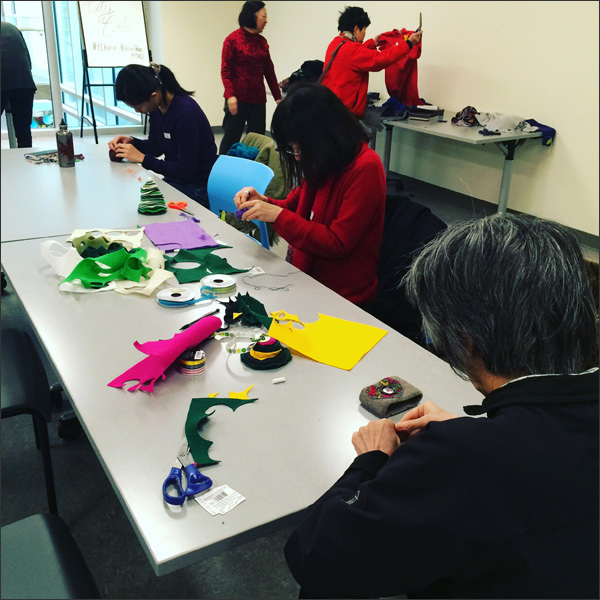 First was the Repurpose Old Clothing - Christmas Theme workshop with the City of Richmond. 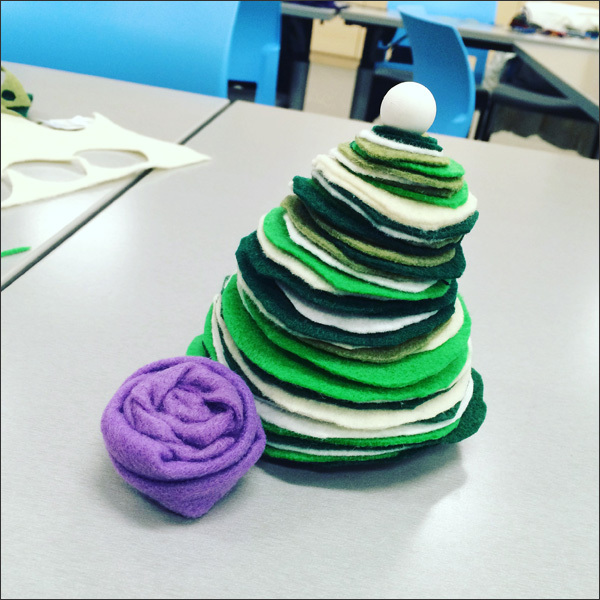 We upcycled t-shirts and wool sweaters into Xmas decor, gifts and ornaments. I had a friend join me as a helper. She had a blast! 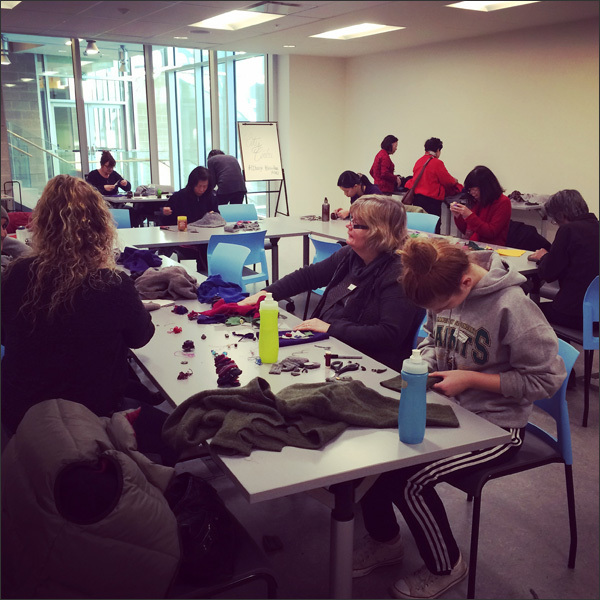 We had 20+ participants join us for 2 hours of crafting. Most were participants from previous Crafternoons. It was one very industrious group. Most people were able to complete multiple projects. 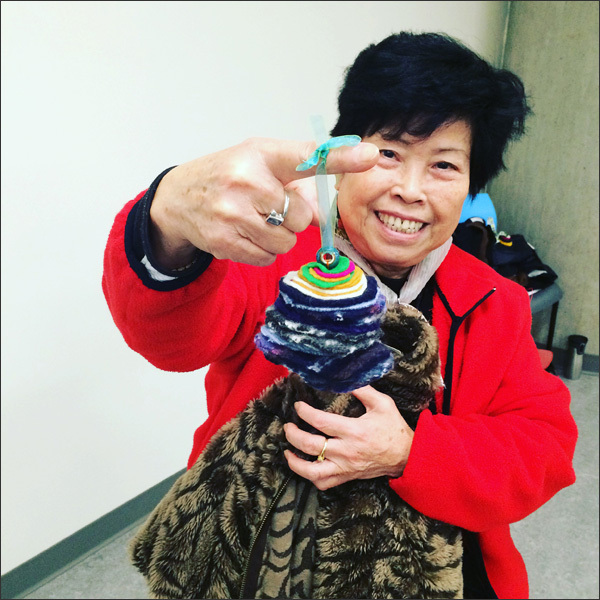 A very happy crafter with her upcycled wool sweater ornament. 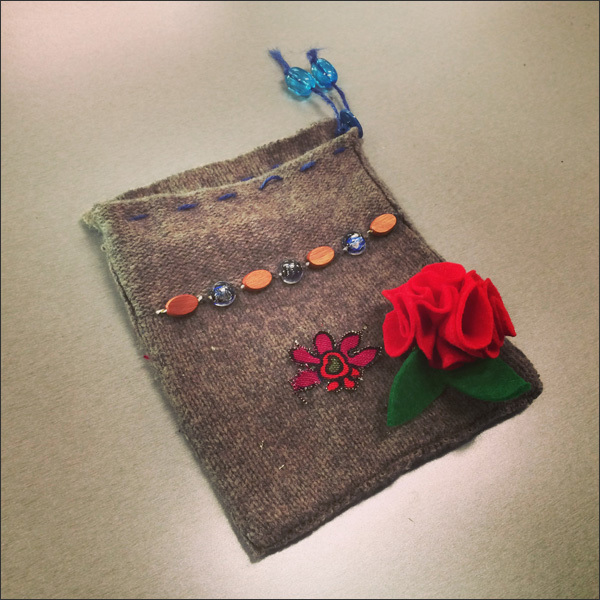 Here's a swanky gift bag out of a pockets and junk jewelry. 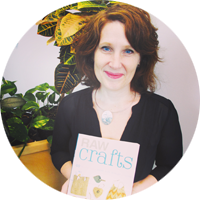 Here's Helen - we've crafted a bunch of times together. 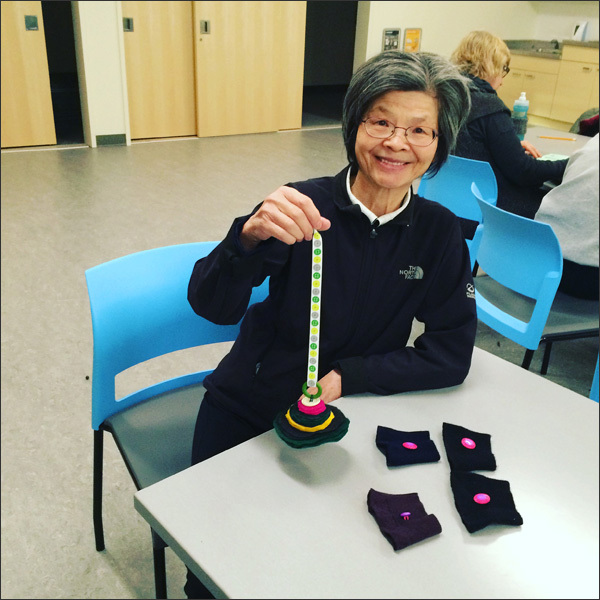 She made an ornament then a few coffee sleeves. Love my crafty peeps in Richmond. 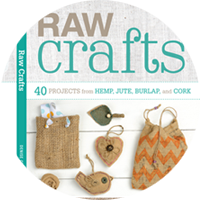 I've got a couple of Crafternoons booked with the City of Richmond for 2016. Find them at www.thriftybydesign.ca.